And so the saga continues. Luckily, in the same breath, it is also coming to an apparent end. Rod Blagojevich made headlines two years ago when it was reported that he was attempting to sell the Senate seat that was vacated by Barack Obama when he won the 2008 election to become the President of the United States. After what can simply be described as a fall from grace by the man who was once the governor of Illinois, it is almost time to decide once and for all if the disgraced politician is guilty of corruption. Blagojevich has been in the witness stand for a weeks worth of days pleading his case to the men and women of the jury. The former governor maintained his stance that at no point did he try to sell Obama’s former seat as Senator for money nor trade it for anything. He also said that he never tried to force executives to give him campaign funds. 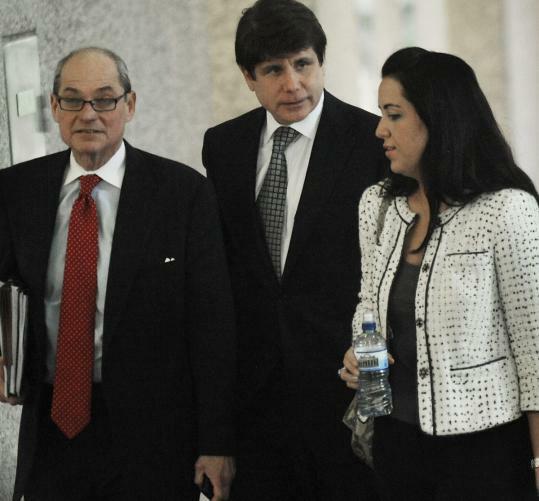 The jury listened to Blagojevich as he told them that he never meant any of what was caught on tape by the FBI. He claims that everything he said was simply thinking aloud and was never anything that he would honestly consider pursuing. According to Judge James Zagel, the jury should begin the decision-making process and start to work on the verdict on Wednesday. Blagojevich’s words in his cross-examining did not do much to help his case. His words went against what he had said in the past and at times it seemed as though he was not exactly sure what to say as he would stutter and restart statements. At the end of the day, Blagojevich did fully counter all of the charges brought up against him. Despite the fact that the way he spoke at times did make it seem that he was not sure what to say, at the end he did get the point of his innocence across. Now it is time for the men and women of the jury to decide what the future of Rod Blagojevich, a man who at one point in time was a prominent politician, is going to be like. Is Rod Blagojevich going to have his name cleared and walk out of the courtroom a free man with a clean slate? Or is he going to be found guilty of what many feel he is in fact guilty of and spend potentially decades behind bars in prison for his actions?